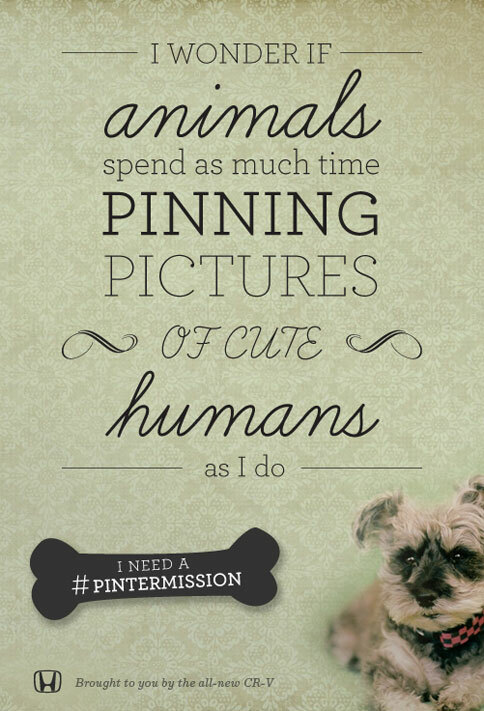 Honda is one of the first brands entering social network Pinterest. In line with their CR-V “Leap List” campaign, they do it strangely enough by asking top pinners to take a break and get outside. You might remember the campaign through the Ferris Bueller sequel video. 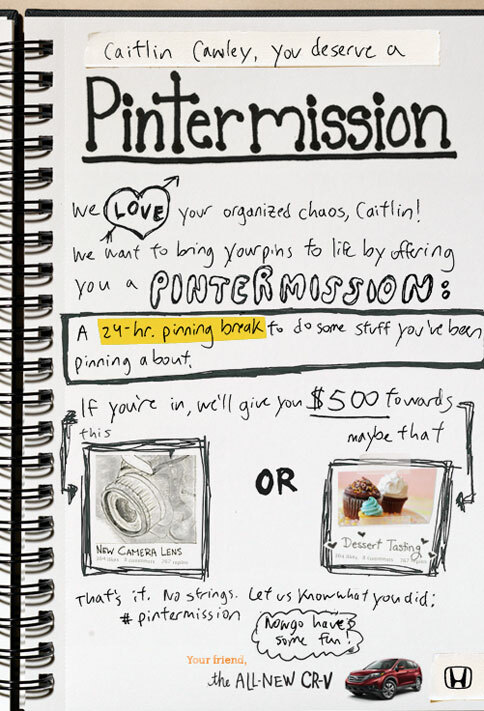 So this Pinterest part of the campaign is all about getting out and living life to the fullest. I liked the personalized invitation via an @ mention below, showing true blogger outreach, with effort going into research, personalised and engaging through craft. See all invites after the jump. This entry was posted in Advertising, Social Media and tagged honda, pinterest. Bookmark the permalink.